George Zimmerman's Bond Revoked, Must Surrender Within 48 Hours : The Two-Way Prosecutors convinced a judge that Zimmerman misled the court during a bond hearing, by not revealing he had collected more than $200,000 from supporters. He's facing a second-degree murder charge for the killing of Trayvon Martin. A Florida judge this afternoon revoked George Zimmernan's bond and ordered that the man who killed teenager Trayvon Martin surrender himself to authorities within 48 hours, the Orlando Sentinel writes. The newspaper says "the decision came after revelations that Zimmerman and his wife may have conspired to lie about thousands of dollars in donations they'd collected before his bond hearing." George Zimmerman during his bond hearing in a Seminole County, Fla., courtroom on April 20. 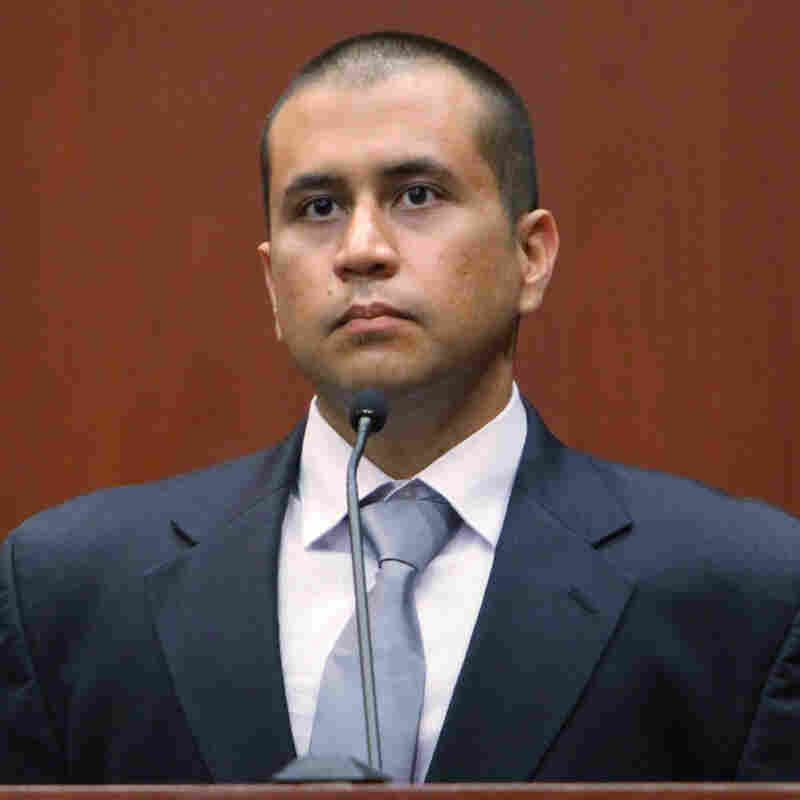 Zimmerman has been free — after posting 10 percent of his $150,000 bail — while awaiting trial for second-degree murder. But prosecutors say he and his wife misled a judge during a bond hearing by not revealing that he had collected more than $200,000 through a PayPal account. That account was set up after the Martin case drew national attention. Martin, a 17-year-old African-American, was shot and killed on Feb. 26 in Sanford, Fla. Zimmerman, a neighborhood watch volunteer, has claimed he acted in self defense. Martin's family and supporters allege Zimmerman racially profiled the African-American teenager and followed him despite a police dispatcher's advice not to do that. Zimmerman had called police to report a "suspicious" man in his neighborhood. Zimmerman's attorney, Mark O'Mara, said this afternoon that he hopes his client will be able to be released again, CNN reports.